This event ended January 18, 2019. 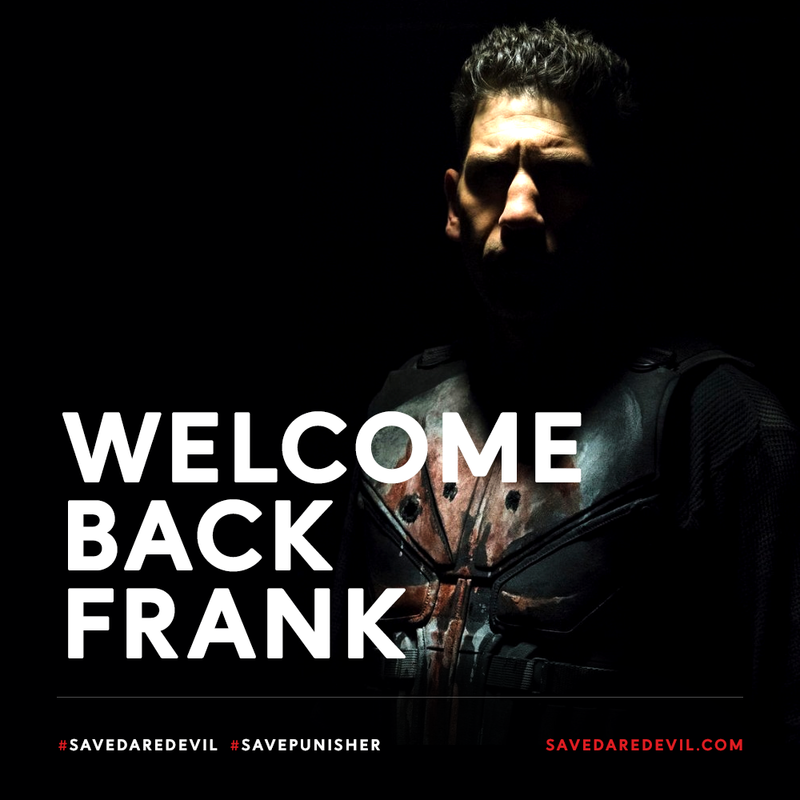 When the Punisher blasts back onto our screens this Friday, January 18, let’s take a moment to remember where his story began!  Join us on Friday, January 18 during our regular tweetfest hours, 12-2pm ET (translate your own time zone here), as we share our favorite Frank Castle moments from season two of Daredevil! 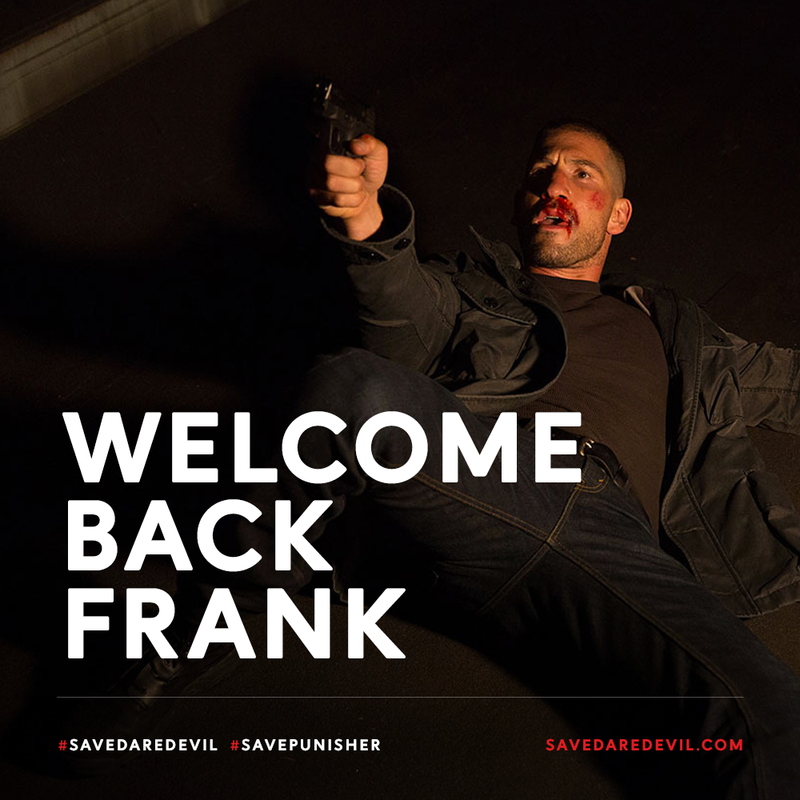 No matter what happens to The Punisher series after this newest season, we want to show Punisher fans how much we respect Jon Bernthal’s iconic take on Frank Castle in Season 2, whose impact on the Daredevil story cannot be overstated. 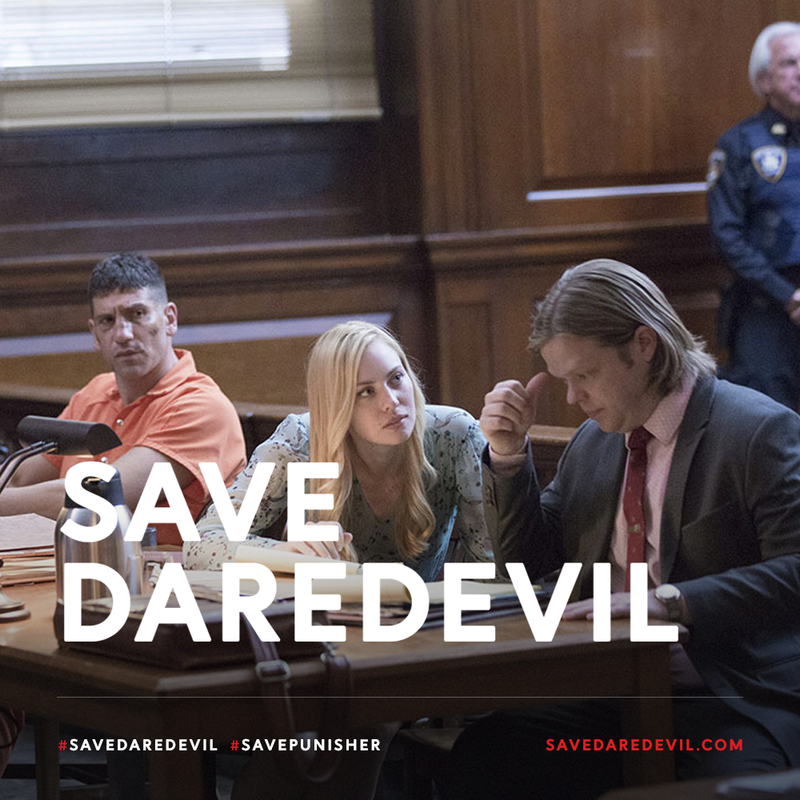 For this event, use the hashtags #SaveDaredevil and #SavePunisher OR #SaveDaredevil and #ThePunisher for your tweets - but remember to limit your use to only TWO hashtags to help with trending! 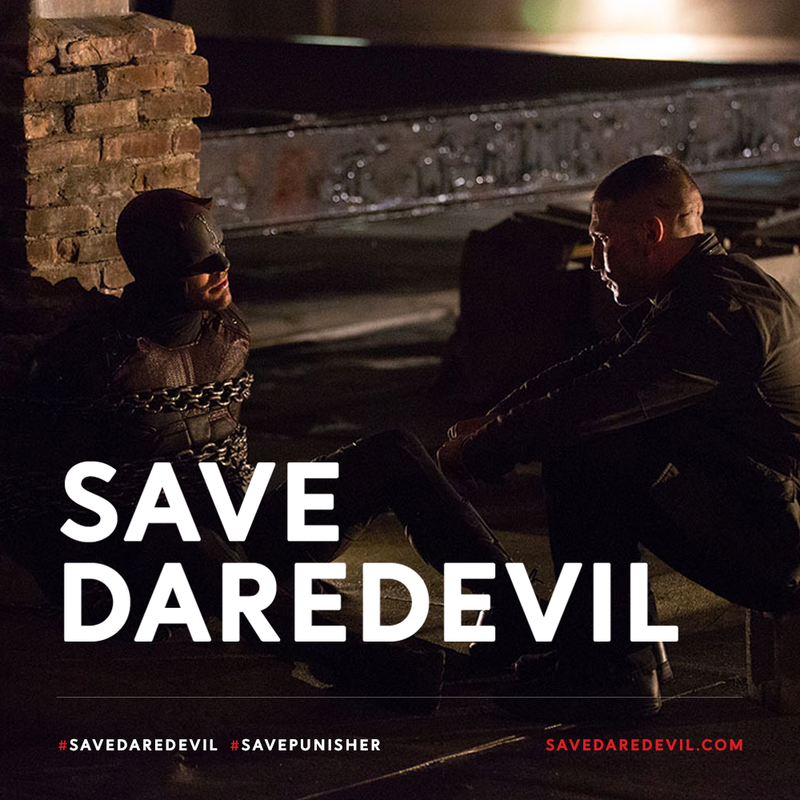 Include your favorite pictures, GIFs, or videos of Frank interacting with characters from the Daredevil show - graphics increase engagement! Twitter watches for engagement so remember: CLICK the gifs/vids/pics, likes AND retweets - and comment on those interactions! Try to remain a positive voice for our effort, which means keeping cancellation snark out of official tweetfest posts. 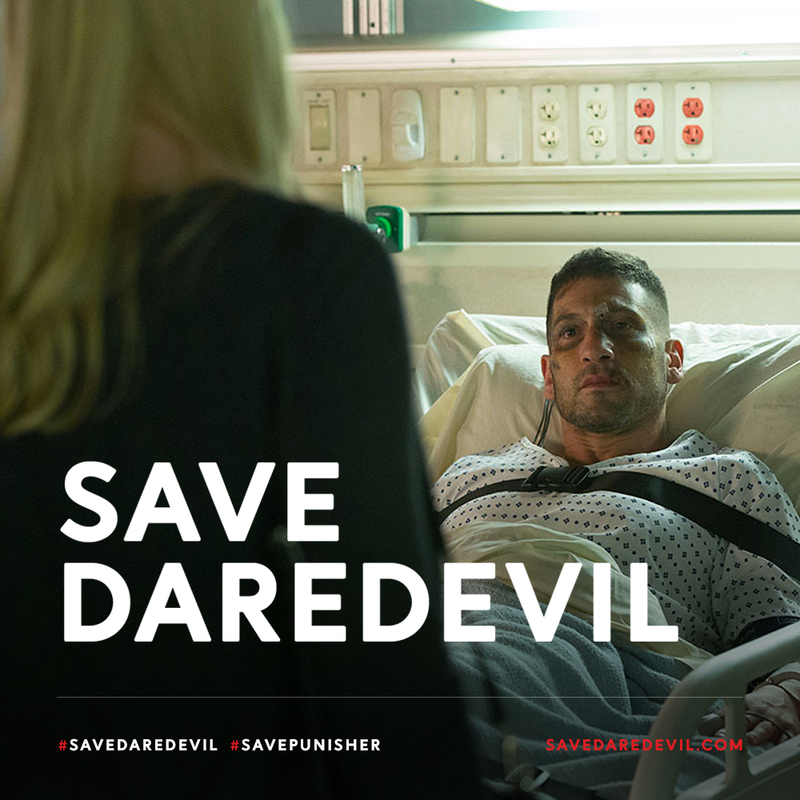 While we can’t stop you from posting what you want to post, we want to make sure the #FandomWithoutFear is ready to support the Punisher fans in case their show meets the same fate. Solidarity will only increase the volume of our message! For fans who have work, other commitments or live in a country that’s not less convenient to our time range, you can use existing tools like Tweetdeck to schedule out your tweets!